The Long Term Care Insurance elimination period is essentially the policy’s deductible. It is measured in a number of days that a person will need to receive care before the policy will pay benefits. The common Long Term Care Insurance elimination period options are: 0, 30, 60, 90 or 180 days. These options vary from state to state. Policies with a 90 day Long Term Care Insurance elimination period is the most common deductible sold today. A common Long Term Care Insurance deductible question that comes up is, “what is the difference between Calendar Days and Service Days” Long Term Care Insurance elimination period. Calendar Day Elimination Period May Be Better. 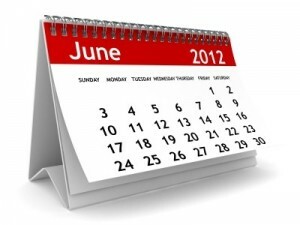 A calendar day Long Term Care Insurance elimination period means that once benefits are triggered, the number of days to wait are marked “on a calendar.” If today is the first of the month and you have a 30 day elimination period, by the 31st you will have met the elimination period, regardless of how many days you actually received care. With service days, you are not meeting your elimination period unless care is provided that day. You’ll spend a total of $3,400 in an “average” month. Daily benefits would only reimburse $130 x 17 ($2,210) of the cost. 4 days a week = 17 days of service @ $200/day. Daily benefits will only cover $130/day, meaning the $70 deficit comes out of your pocket on those days. A plan with Monthly benefits doesn’t care how much is spent on any given day; it only cares about the total at the end of the month. The final question, and one only you may answer, is whether having Calendar Days as your elimination period is important. After all, Monthly Benefits does cost about 3-5% extra with almost all policies. Were it “free” it would be worth taking. But if you are paying extra for it each year, it may not be worth it. To some clients, the prospect of paying for 30 or 90 days of care, regardless of how long that takes, is no big deal. It’s the long term costs they are insuring, not the minute details of the first few months. To others, this can be more important. Either way, it is an important difference.